There is hardly a TV dinner with a parent who loudly proclaims that all of advertising is a sham and no one will ever buy said product because consumers are now smarter. This is, of course, entirely untrue and unfair. Let us say, you – smart consumer – are out on the prowl. You have your guard up and you are not letting some advertiser con you into buying anything. But what if something has already been sold to you? 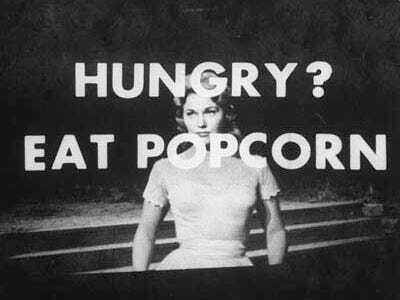 James Vicary inserted the words “Eat Popcorn” and “Drink Coca-Cola” into a movie in 1957. For a single frame, audiences were “sold” popcorn and coke. They were not aware of it. Supposedly this created an 18.1% increase in Coke sales and a 57.8% increase in popcorn sales. Vicary’s results turned out to be a hoax. A 1999 Harvard study used a similar method. Subjects played a computer game in which a series of words flashed before them for a very, very short time. One set got positive words and the other set got negative words. Those who received positive words exited the room significantly faster than those who got negative words. There have been countless such instances of so-called subliminal advertising. But is it a conscious attempt by advertisers to “incept” an idea into your brain or is it just the good ol’ human mind seeing patterns where it shouldn’t? 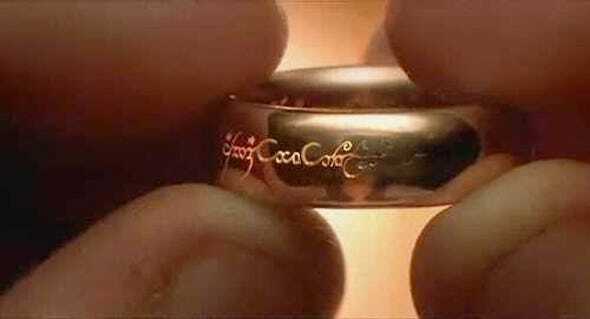 That is supposedly Coca Cola written on the One Ring from Lord of The Rings. None of the newest ads actually say “buy us”. Most of them try and present a facet. Like “we are cheap & good”. Most of all, they all try to sell a feeling. An emotion. A connect. A remembrance. When you make the purchase. We don’t like to think we are malleable. We believe that our mind is rational and intelligent and capable of greatness. There is nothing wrong with believing that. We know we are special. People never seem to know the reason behind their actions. However, ask them why their friend did it and they have his whole behavior mapped out. All people are born special. You are just less special. And out of this “ooh look I’m special” complex comes something that advertisers love. The word of thy mouth. I found a hole-in-the-wall bookstore and I purchase some great books. The staff were frank, affable. I told everyone about the store. They already knew. But, I told them anyway. I logged into Facebook and Twitter and told everyone about it. The next day Facebook showed me an advert for some online bookstores and libraries and other books. That was fast. That reached. Imagine yourself watching your favourite TV show. A commercial break shows you your favourite drink. You do not skip the show to go buy that drink. Maybe, next time you are out shopping, you will buy it. On the other hand, with Facebook, all you have to do is look at it. You don’t even have to click on it. As they say, if you are not being sold something.. you are the product. As a funny aside, here’s Family Guy using subliminal advertising to try and make you do something.